I believe in asking questions and making a difference. Using your summary sheet on an exam? I know, I know, it is a big leap… One I still have to explain (read: justify) on the regular. But stick with me for a bit. If we’d had this discussion in 2012, I would have told you assessment is what comes at the end of a learning sequence. That pedagogical place where I sit with red pen in hand (I say that symbolically… I prefer green or purple, myself) assessing work and determining scores. Maybe we did corrections after but that was kind of it, you know? We’d end that unit of study and move on to the next. Full disclosure: did we continue to embed prior material throughout the year? Yes. Did some of the material serve as a foundation for the next unit? Yes. But my point is that the final assessment at the end of the unit was IT. Like you did well on the Space Science Unit or you didn’t and hopefully, we’d circled back to redress it during the year when we could so you would be successful on that topic on the Regents. That was then. Over the last several years, I’ve undergone something of a metamorphosis in how I view teaching, learning, and assessment in my classroom. In this case, I underwent a shift from being locked into a teach and assesses pattern to a more holistic view of the learning process. I had to ask myself: what was the goal of my assessment? Traditional me would have told you it was to measure what the students knew about a particular topic at that time and assign a score. New me thinks the assessment is another opportunity for students to apply what they have learned and deepen their understanding. In other words, I began playing the long-game as I embraced the fact that my assessments were actually PART of the learning process and not the END of it. Think about it. We’ve all experienced this: If you see something often enough, isn’t it easier to picture in your mind? For example, a golfer can recall the fifth hole of their home course in vivid detail compared to someone who has only played it once or twice. A school bus driver can recall the color and style of each house along with their route when compared to someone whose purpose is less specific (driving to work). Both of these examples relate to how we transfer information and images from our working memory to our long-term memory. Repetition and elaboration influence this. In this case, the students became so accustomed to seeing and using our additional information, they were able to recall it even when it wasn’t there. When faced with a difficult question, would a student be less likely to give up on it if they had access to information that would provide a foundation for answering the question? I hypothesized they would be less likely to give up. Would applying the information in a test setting make them more likely to retain and be able to retrieve the information in the future? Based on my reading of the Psychology of Errors in the book Learn Better by Ulrich Boser, I hypothesized if the students were not giving up, and attempting to answer the question, the information would stay with them, even if it was wrong initially. They key was to get them to commit to the answer. The assessment must be structured so the information would help students answer questions, not necessarily answer the questions. As we neared the end of our next unit and began the process of creating summary sheets, I told my students they could use their new sheet on that exam. Let me tell you, these were some of the BEST, most comprehensive, organized, and detailed sheets my kids ever produced! But here’s the funny thing, when the assessment was over, a fair number of my students were disappointed. I was met with multiple comments like, “I put all that work into my summary sheet and I hardly used it!” Cue the students’ pouty faces and my celly. So what happened? Why did so many of my students not use the summary sheet very much on the exam? Well, through the process of creating the summary sheet (organizing, prioritizing and chunking information, connecting ideas, constructing graphs and diagrams, thinking about their thinking) my students were able to transfer their learning into long-term memory and make their learning “stick”! The creation of the summary sheet itself was an act of learning and using the information on the assessment further embedded the ideas through their application. Students stated they felt more confident and less anxious leading up to and during exams when they could use the summary sheet. Call it the security blanket effect. Fewer questions were left blank. This told me the students were not giving up so easily. More students demonstrated proficiency or mastery on assessments. This told me students had either learned the information better going into the exam or through the use of the sheet during the exam. Further, more students demonstrated proficiency or mastery on exams where they could not use the summary sheets (benchmarks, mid-term and Regents). Naturally, I have encountered a few questions. The most common being “What if the answer to a question is right on the summary sheet? Where is the thinking there?” It’s a valid question. I believe you counter this by using or constructing questions that require higher order thinking skills. When I moved from viewing assessment as the endpoint to using assessment as deliberate practice student outcomes improved. 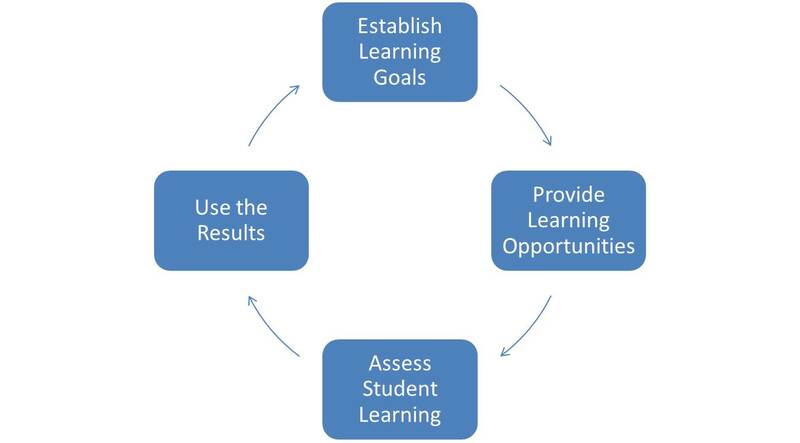 Assessment at the end of a learning cycle should not signify the end of learning on that topic. When we view the assessment as another opportunity to enhance, embed, and continue the learning we open up opportunities for our students. Thanks for reading through this long post. I look forward to your comments and questions! Even if you never change a thing and think I am completely wrong, maybe this post made you stop for a moment and examine your own practice. I am a believer that having a deep and clear understanding of why we do what we do in our classrooms and being able to articulate that is paramount for reflective practitioners. I look forward to continuing this conversation in my next post called Letting Go & Taking Control: Re-Takes. This post is Part 1 of a 2 part series on Summary Sheets and Assessment. Have you ever provided students with a partially completed (or completed) review guide prior to an assessment? Maybe a series of facts or questions they should be prepared to answer? Perhaps played review games or even offered a practice test prior to the assessment? We’ve all been there. We’ve all struggled with the best way to help our students prepare for summative assessments. That’s where I was until I read Make It Stick* and Fair Isn’t Always Equal in 2016. Not to say I still don’t run mental marathons considering ways to help my kids be more successful but, together, these books profoundly altered my views on teaching, learning, and assessment and my students have met with more success. As a visual learner, I was struck by pages 208 & 231 in Make It Stick. Here, the authors describe how Mary Pat Wenderoth, a biology professor, had her students turn in a single sheet illustrating the learning from the previous week. Through the use of diagrams, phrases, and graphs, (think sketchnotes) these summaries allow her students to prioritize information and make connections. This made me consider how I might use a similar process to review for assessments. Step 1: Word vomit Students are given 10-15 minutes to complete a Brain Dump activity. Using just the front side of a piece of paper, they are instructed to write down everything (charts, diagrams, phrases, equations, pictures) they can recall about a topic, in no particular order, without using any of their resources. After the time is up, students should compare their brain dump with a partner, adding missing information or correcting their initial work if necessary. If time permits, you can snowball this or, as I’ve ineloquently called this in the past: think-pair-pair-share. Note: There can be a little productive struggle in this. Some students might state they are done after just a few minutes. Allow them time to think. If they seem to be on the cusp of giving up, you might ask questions like “do you recall what we did the day we had the fire drill last week” or “what were we exploring the day we used the whiteboards, the light, and the hemispheres?” This type of questioning will help remind students about the lessons without giving away the important information we want them to come up with on their own. Step 2: Sometimes we don’t know what we don’t know Using the sheet from Step 1, students complete a practice assessment typically consisting of 30 multiple choice questions which cover the scope of the content being assessed. As students complete the assessment questions, they should confirm and identify information that would help them answer the questions posed and continue to add to or modify the information they’ve compiled on the front side of the paper. I let students use any reference materials during this process to ensure the information is accurate and accessible. TestWizard software is useful because it provides immediate feedback, allowing students to check their information for accuracy and identify gaps. Last year, I started having students complete this activity in pairs. I’ve found this provides an opportunity for dialogue and has enhanced the process for most students. Note: Occasionally constructed response questions (CRQs) are included in this practice exam, but these are generally practiced during class. If carefully selected, the multiple choice questions will cover the content and processes being assessed and therefore will suffice for this activity. Step 3: Synthesis At this point, the students should have a fair idea of the content and required skills they will encounter on this assessment as well as a comprehensive list of the information necessary to achieve success. I provide students with a piece of colored, 8×11, card stock paper to complete their final draft of the summary sheet. During a single 40 minute class period, students will organize or “chunk” their information to show relationships between and among the concepts and facts, ensuring they include appropriate equations, images, and examples to support their understanding. They may use both sides of the paper and again can access all class resources including the practice test. To assess the summary sheets, I use the single point rubric below. Hint: I use a different color paper for each of our 7 major assessments. We keep the summary sheets in a folder and return them as students begin to review for the Regents Exam. Presto… color-coded review! Click the image below to access the complete document. Since starting this process, my students report feeling more confident going into assessments and they have met with greater success. In my next post on summary sheets, I will share how I’ve integrated the sheets directly with the assessment. In the meantime, I hope maybe I’ve encouraged one or two of you out in the nether nether of Internetlandia to consider this strategy to help your students prepare for assessment. I’d love to hear what you think, so please comment, Tweet , or email me about your experiences with summary sheets and whether or not you observe any impact on retention. *Credit where credit is due: I selected Make it Stick as one of the 5 books for our NYS Master Teacher (Capital Region) 2016-2017 Book Study PLT based on a recommendation by Tom Shiland. Tom is a NYS Master Teacher and widely regarded as the Clint Eastwood of Chemistry.